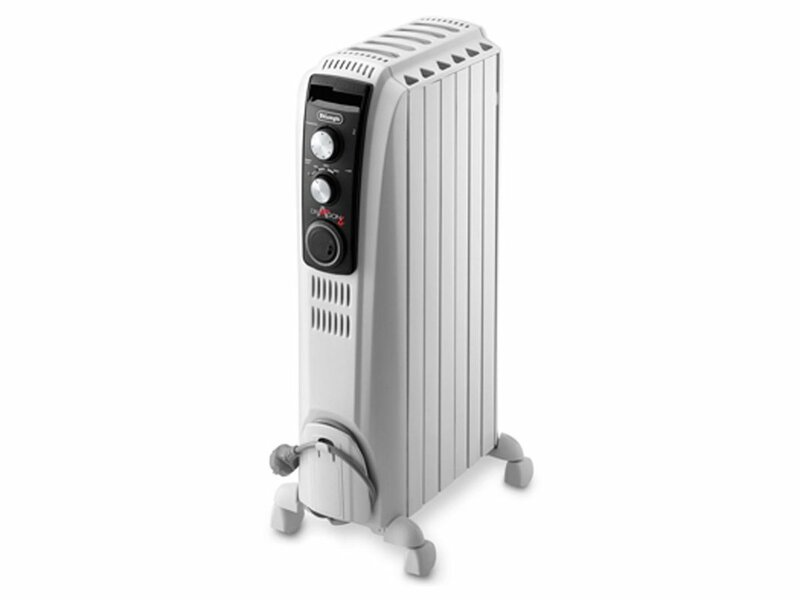 Delonghi Electric Oil Column Heater, New patented battery design, Eco plus mode, Knob controls, Retains some heat after switch off, Pre assembled snap lock castors, 24 Hour auto switch on and off timer, Energy saving thermostat, Safety thermal auto cut off, Tilt safety cut off, Cord storage. DeLonghi market leading Oil Column Heaters use an efficient Tunnel Construction design to deliver superior heating results. A series of electric elements sit immersed in oil, producing long lasting radiant and convective heat. The Delonghi TRD41200MT Heater was added to the Heaters category in May 2017. The lowest price GetPrice has found for the Delonghi TRD41200MT Heater in Australia is $159.00 from Amazon AU. Other merchants who stock it are Amazon AU, Appliances Online.